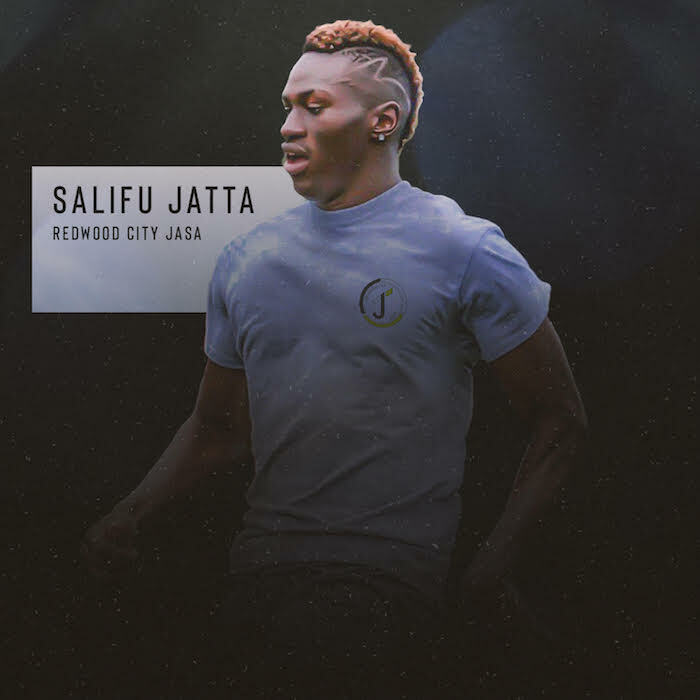 The dynamic attacking player Salifu Jatta is making his way back to the Bay Area for the Spring ’19 UPSL season; moving from Nevada Coyotes FC to Wild West Division foes JASA RWC (Redwood City). Both clubs finished at the top of their respective table in the fall and he was a big part of Nevada’s success, quite literally. He made appearances during their fall run in the US Open Cup as well, and we expect he’ll make his presence known for the boys-in-black. Where did you grow up and when did you start playing soccer? When you were a kid, did you see yourself playing as a young man? I grew up in Gambia, a very small country in West African; a place where when soccer is on the whole country stops and watches. Especially, when the National team is playing the whole country is watching. My father is a former professional soccer player who turned to coaching to help young men reach their dreams. He had a “semi-professional” team when I was younger that played in the second division. Some of his players ended up playing for bigger teens in Gambia, the National team, Europe and even the MLS. Unfortunately, I left in my early teens and did not benefit from this. I grew up playing in school, at lunch time everyone played soccer, boys and girls. And after school we organized tournaments in the streets, on dirt. Grass back then was a luxury and even still is considering the amount of turf fields I’ve played on since being here. Growing up I was really skinny, short, and small but I was skillful and fast. I came here at 14 in the summer of the first World Cup in Africa. I actually caught a glimpse of the actual trophy when in was taken around Africa for public viewing. Before coming to the United States, I have never actually played in an organized setting with actual referees (my buddies back home improvised the roles really well). I never actually wore cleats when I played. It was mostly barefoot or with rubber shoes. There were rarely days in did not play soccer. My dream was to become a professional soccer player and is still is. I push everyday and know I’ll reach that some day. I hope through soccer I can help others and inspire people to chase whatever dream they have. You're big and strong and play up top--but has that always been the case? What positions have you played and which do you prefer? What's your superpower on the pitch... what's your kryptonite? Yeah...I wasn’t always this big. I started out playing as a right back when I was young because of how aggressive I was (my favorite player was Cafu back then). Then I started playing as a winger/striker as I watched Shevchenko back when he was at Milan. 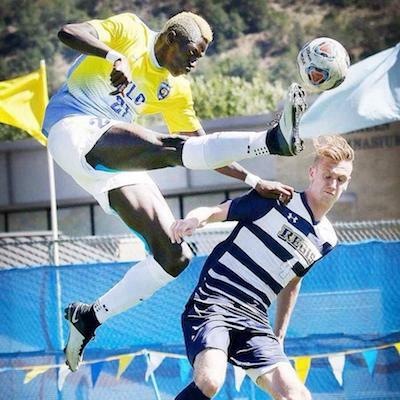 In high school (sophomore year) when I arrived from Gambia, I played as a winger, but I struggled with running considering the change of environment, have never played with cleats before, and knee problems (growing pains). Junior year, under a new coach I played center-back, holding-mid in HS and forward in the various clubs I’ve played for in the Bay. Senior year is actually when I started to kick things off, the growing had lessened, my club coach was also coaching my high school and he did not want me playing center back considering he had coached me for 2 years. In college I played about a year for San Jose state’s club team then was supposed to join the div. 1 team the following year as a walk-on but due to coaching changes that took places. I ended up playing for evergreen valley college for 2 years while enrolled at San Jose state. I went to both schools until I transferred to Fort Lewis College where I played for a year and half. I think my superpower on the pitch is that I am strong, fast and good with my feet considering my height. I can play as a winger and a center forward. I can be a handful for defenders because I try to force them into making mistakes at the back and I can create a lot of chances for my teammates. My legs are really long so I do intercept a lot of passes around the back when I put pressure on defenses. What's your short term goal and long term objective? Are you playing for fun or seeing where this can go? Would you consider coaching or do you have alternate, non-soccer plans when you're done with this? Right now I’m trying to break into the professional game. It’s been tough both mentally, and physically. I believe in myself I know I will make it maybe I’ve just been looking in the wrong places but soon or later I’ll make my dream come true. At the moment, I would not really consider coaching I love playing more. And after soccer, I do have my bachelors in business but I might go for my masters maybe while I play professionally but at the moment focusing solely on playing professionally. What clubs do you support? What players do you admire? If given the chance, how far would you travel to play? I am a big Barcelona and Arsenal supporter. I can watch Messi all day. I grew up watching those two teams and back then Arsenal was more exciting they always gave younger players opportunities to become part of the first team. I really liked that, and they passed the ball so well it was exciting to watch. If the opportunity arises for me to play I wouldn’t mind traveling anywhere in the world to play I am very open to it. I have always been away from home for more than half my life, so there’s no chance I am not willing to take. Everybody believes in something--what hill would you die on? Politics, religion or movies and music... what gets you incited and opinionated? Should players feel free to express their take on current events? I really like music because it’s relaxing. I listen to basically everything from Rap, grime, dance, country, French pop, pop, hip hop, reggae etc when my phone is on shuffle you never know what you’re gonna get. I like to get into politics here and there but I’ve not been that interested in it lately. I like watching movies in my free time. I think players should take on current events because they have a good platform and their opinions makes them part of the community. I recently came across an MLS/Portland Timbers/ USMNT player Jeremy Ebobisse, and I think it’s very influential and informative, many more should do that. For more information about JASA Redwood City head to their site or Check out our Spotlight on JASA from 2018. Player Profile graphic artwork provided by Cory Mizer.